A Simple Slice of Science – Why do we get Jetlag? For this Simple Slice of Science Dr. 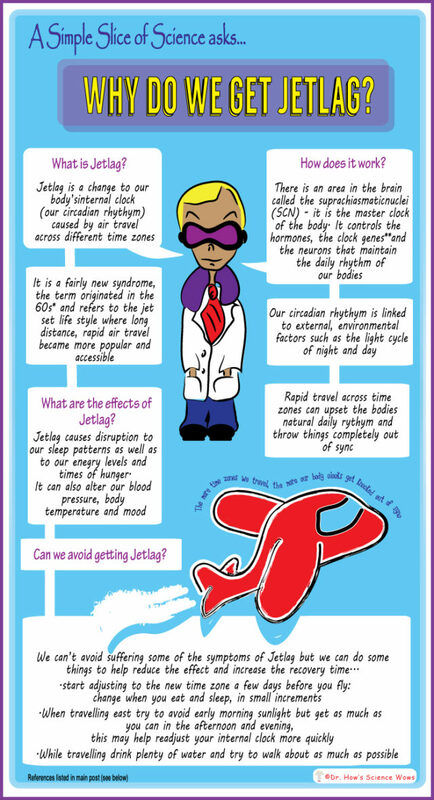 Simple looks at Jetlag… what is it, why we suffer from it and can it be avoided? This question originally came in from Lisa at Mama.ie when she wrote this blog post (so it only took me five months to write this response… I can’t blame jetlag for that!). Why do we get Jetlag?